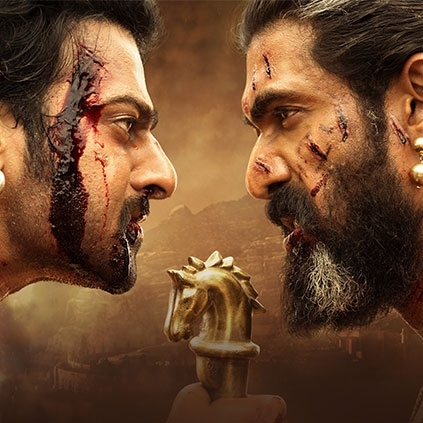 SS Rajamouli’s magnum opus Baahubali 2 has been facing a lot of hurdles before its release. First, it had some issue in Karnataka where a few activists were trying to stop the film’s release, then there were few minor discrepancies among the distributors and theatre owners in Tamil Nadu. All these are common problems that a big film faces of late. But online leaks before the actual film’s release is a huge obstacle. Unfortunately, Baahubali 2 has become a victim of leaks yet again. Earlier, few raw battle scenes were leaked from Baahubali 2 edit table. Now just before few days from its release, screenshots of Baahubali 2 movies are floating all over the internet. Thankfully no scenes have been released as yet. But even these photos could spoil the overall movie watching experience. The exact details about how these screenshots were leaked are yet to be found. We request you not to encourage such acts at any cost and watch films only in theatres. Superstar Rajinikanth salutes this veteran! Metro gets the most watched movie online award! Win FREE Tickets For Baahubali 2 | First Day! !